Savill Packaging is a packaging provider to the food catering industry. This was one of the earliest sites built and was completely custom designed. The company’s previous website was a single page site with virtually no information on it. 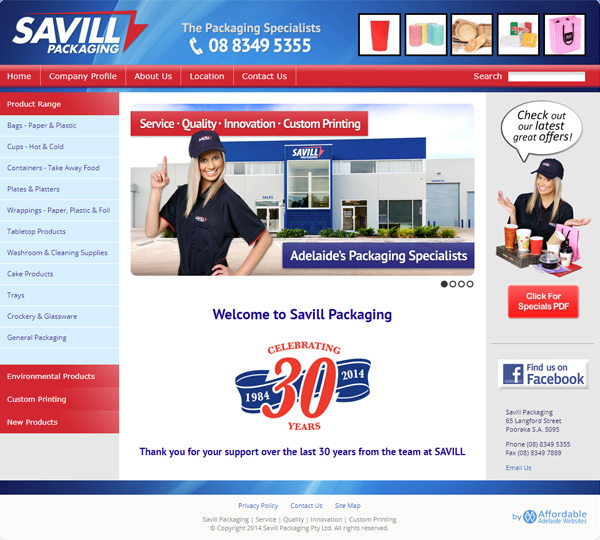 The brief here was to create a website that displayed the entire range of products that Savill Packaging provided. This was not an ecommerce site but rather a catalogue. As a result of the project, the company experienced significant growth over the following years and is now one of the top food packaging providers in the Adelaide area. The site consistently ranks well in search results for its market segment valued keywords. They liked the site so much they saw no need to update it.